One of the greatest blessings I have ever received, is the privilege to continue my father’s legacy and be able to give back. I have said this before and will say it again, Camp Ohana Foundation has completely transformed my life and made me a better person. The simplicity of life over at Camp Ohana Village and seeing how grateful the children are for the transformation we have brought to Camp Ohana Village is a genuine lesson on humility and appreciation. 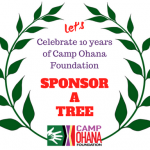 We have transformed the lives of the children at Camp Ohana Village and will continue to do so. We will continue to pursue our Sponsor a Tree program, as this will be our year long project. Deforestation is rampant in the country and this is our simple way of giving our share. 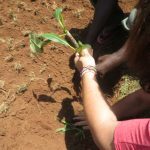 Our plan to develop a solar powered irrigation system to sustain our tree planting efforts is currently in progress. I WANT TO SPONSOR A TREE!